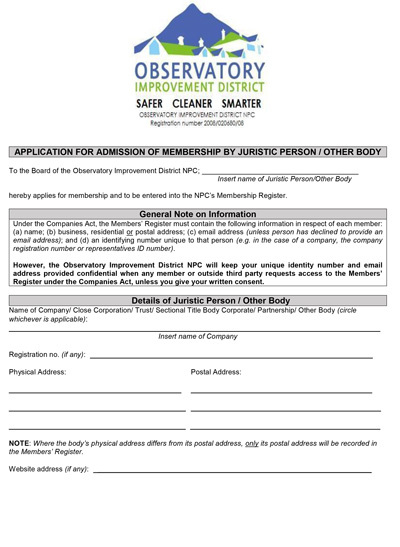 Membership of the OBSID is open to all property owners within the OBSID boundary who are encouraged to join so that they can exercise their rights to influence the business of the OBSID. Membership cannot be denied and the property owner is entitled to attend, participate and vote at the Company meetings held under the auspices of the Companies Act. Should a member be unable to attend annual general meetings, they may give another individual their proxy to attend and vote on their behalf. The board of directors is chosen by OBSID members at the AGM. Only members have voting rights at the AGM. 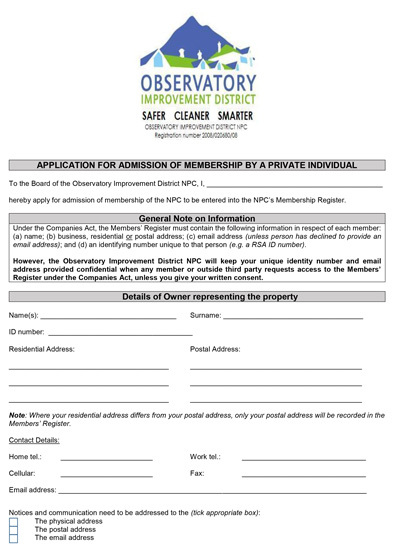 Any property owner in Observatory can become a member of the OBSID. Non-members may attend and participate but cannot vote and as such may thus have limited influence on the OBSID activities. Once completed, please scan and email it to ceo@obsid.org.za or drop it off at our offices.